The rain is softly dropping needed drops outside the door as I type out these words. 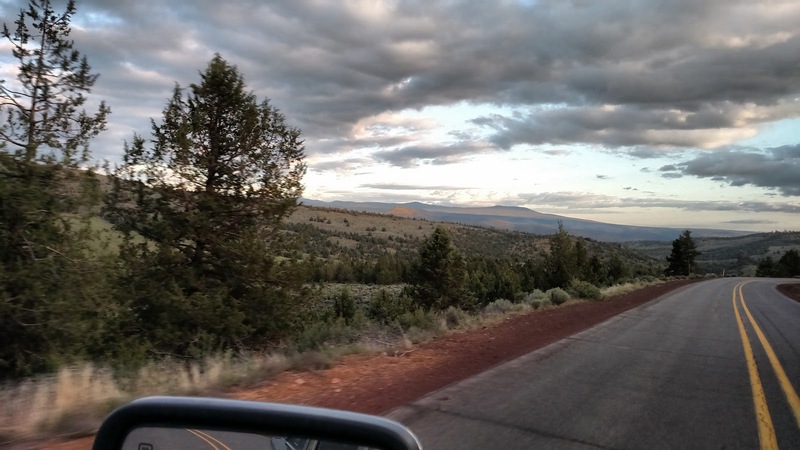 We got home from a weekend in Central Oregon just before dinner. The truck got unpacked, the cooler got unloaded, the laundry was started and I rested my body in my easy chair and turned on DVR'ed episodes of American Idol. And all that I can think of as I type is that we are so lucky to get to do what we do, and with the people who do it with us. Clint judged the 5 Peaks Jackpot show on Saturday, and I helped clerk the ring that Randy Williams was judging. Cathy & Rich do such a nice job with this jackpot, and we enjoyed being a part of it again this year. Sunday we spent the day pulling CIDRs on a set of heifers at the GI Ranch in Paulina. The drive out there was gorgeous - and I took A TON of pictures, which I'll share more of this week. We headed back into Redmond Sunday night, and got set up at Mark Malott's headquarters before going out to look at calves. Mark had a set of heifers Clint and Morgan bred last year with Solution calves at side and they looked good. We spent the next morning AI'ing 2015's set of heifers and that went well too. And as we drove through Prineville on our way to eat lunch with the whole crew at the Tasty Freeze on Monday, I couldn't count the massive number of American flags they had lining their streets. Yards of fabric, proclaiming the red, white & blue. I LOVE the second picture of Clint. That's magazine material lady! And the third one reminds me of home, so naturally it makes me want to cry. Thanks for sharing!